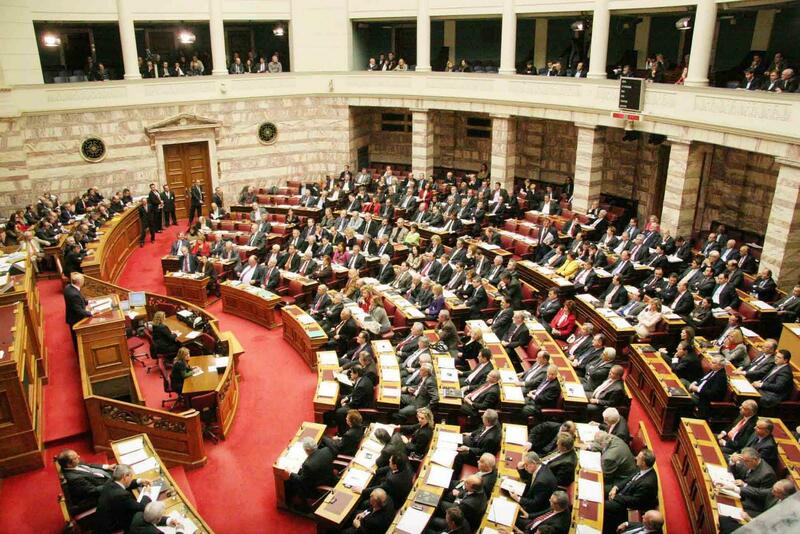 A new state of delicate balances and increased responsibility for parliamentarians in the Greek Parliament has come about as result of a decision by the parliament presidency to hold a roll call vote for every piece of legislation that is tabled in the House by the government. The decision was announced today by the House Speaker Nikos Voutsis and Vice-President Tassia Christodoulopoulou. “It is a new practice that cannot leave any doubt that the government is absolutely founded on a majority in parliament,” said president Nikos Voutsis. This development followed strong objections from the opposition to a draft bill tabled by the Ministry of Administrative Reform, which, according to New Democracy, was rejected in principle yesterday because of the absence in the House of an Independent Greeks representative. The parliament presidency decided today to hold a roll call vote amid objections from opposition parties. The draft bill was ultimately approved by a majority of 153. The government has received a vote of confidence two weeks ago at the initiative of the prime minister, while in December 153 MPs had approved the budget, which is considered informal support to the government. However, the ruling majority doesn’t exist as SYRIZA’s parliamentary group is made up of 145 lawmakers. At the same time, the number of independent MPs has risen to 16. These lawmakers cannot be represented in votes other than by roll call, since they don’t belong to a parliamentary group. ANEL to follow To Potami? This number could rise in coming days as the ANEL parliamentary group could dissolve if Th. Papachristopoulos resigns from his seat and hands it over to the party, to demonstrate his support for the Prespes Agreement against the party line determined by Panos Kammenos on the issue. The parliamentary group of To Potami has already unraveled after the resignations of MPs Danellis, Amyras and Psarianos, with the first supporting the government and the other two disagreeing with To Potami’s endorsement of the Prespes accord.